CARFAX ONE OWNER! NEWLY ADDED LEVEL KIT AND 35X12.5R22 IRONMAN MT'S ON 22 FUEL WHEELS! Super clean low mile 2016 F150 XLT Extended Cab 4X4. Black with gray cloth front bench seat allows for 6 passengers power seat adjustable pedals back-up camera steering wheel controls bluetooth Sirius satellite radio running boards folding 2nd row seats and much more! 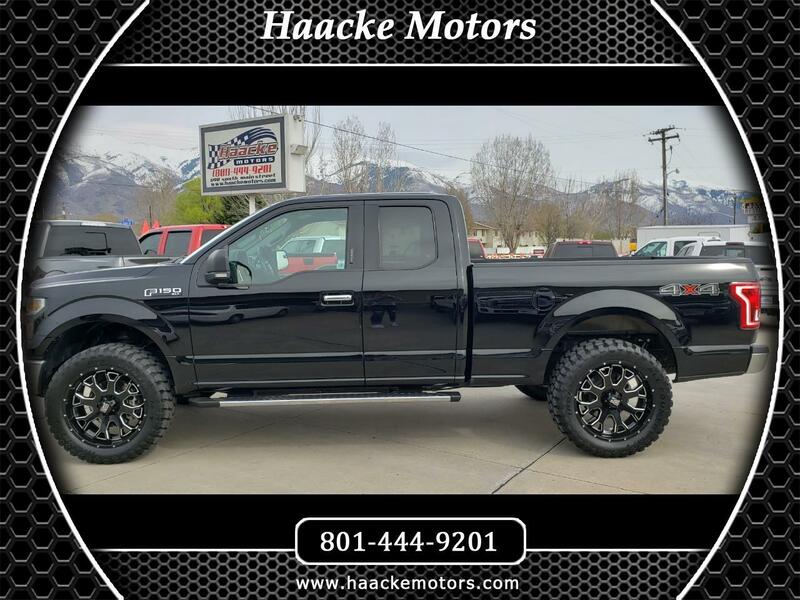 See us on our website at www.haackemotors.com KSL.com Autotrader.com Cars.com Carsforsale.com Listingallcars.com CarFax Online Cargurus.com Facebook and Instagram. We're human, we make mistakes. Please call if you have any questions!! !